He was one of the most famous and beloved Confederate war veterans, despite his Yankee heritage. He was a horse named “Little Sorrel.”The military value of horses, enhanced by mid-Victorian sentimentality, made celebrities of many of those who went to war. 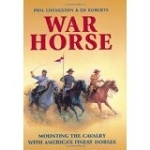 Southerners, both soldiers and civilians, were especially enthusiastic about their warhorses, although Northerners were hardly immune to equine hero worship. 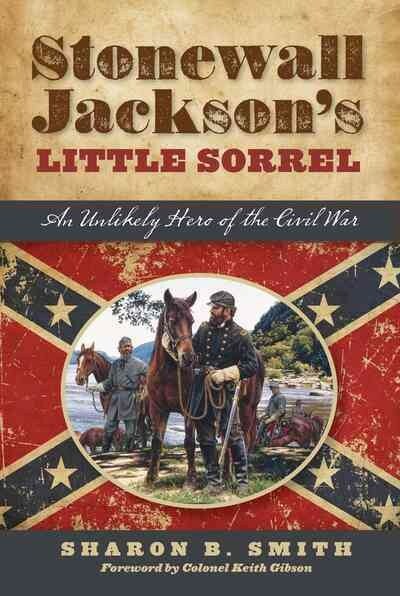 During the war and throughout the rest of the 19th century there was no star that shone brighter than that of a small red horse who soon known as Stonewall Jackson’s Little Sorrel. The name was descriptive at first but was soon adopted by military and public alike as his offiial name. Robert E. Lee’s Traveller eventually became more familiar, thanks to Matthew Brady’s iconic postwar photograph, but Traveller was mostly famous for being gray and handsome—the equine image of his owner. Very little was publicized or even known about the nature of the horse himself. Not so with the little sorrel. Early in the war he became known as a horse of great personality and charm, an eccentric animal with an intriguing background. Like Traveller, his enduring fame was due initially to the prominence of his owner and the uncanny similarities between horse and human. But the little red horse long survived that owner, General Thomas J. “Stonewall” Jackson, and developed a following of his own. In fact, he lived longer than almost all horses who survived the Civil War as well as many thousands of human veterans.His death in 1886 drew attention worthy of a deceased general, his mounted remains have been admired by hundreds of thousands of people since 1887, and the final burial of his bones (after a cross-country, multi-century odyssey) in 1997 was the occasion for an event that could only be described as a funeral, and a well-attended one at that.Stonewall Jackson’s Little Sorrel is the story of that horse.